The Huntsville Ballet School Summer 2019 Session and Intensives begin in June and registration is currently open. Huntsville Ballet School offers ballet classes starting at 2 years of age with Mommy & Me to Open classes for adults. Class placement is based on student experience to ensure the most effective progression through the curriculum. 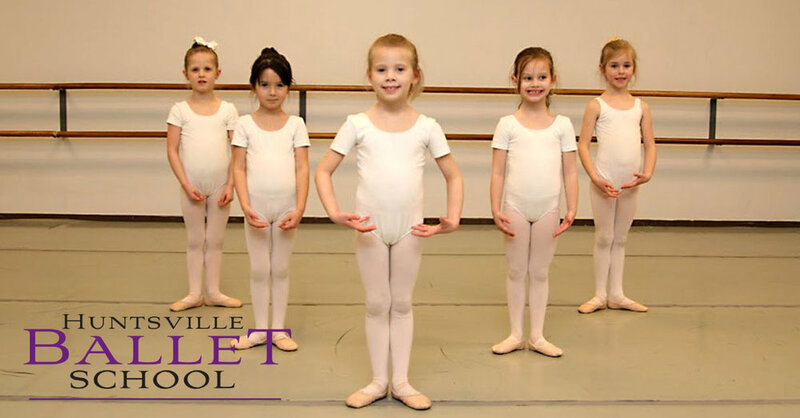 Summer at Huntsville Ballet School offers a variety of options for beginners through advanced levels. Classes for creative levels, ballet beginners, Intensive options for levels 2x through 6 and Open classes are available throughout the summer months. Registration for Summer 2019 will be at students CURRENT Level. For example, if you are in ballet 5 for the 2018-19 school year, that is your summer level. If you are not yet an HBS Student, we welcome you to contact the school asap and staff can guide you to correct placement for Summer. Important information pertaining to your child’s dance education is included in the Parent Community. 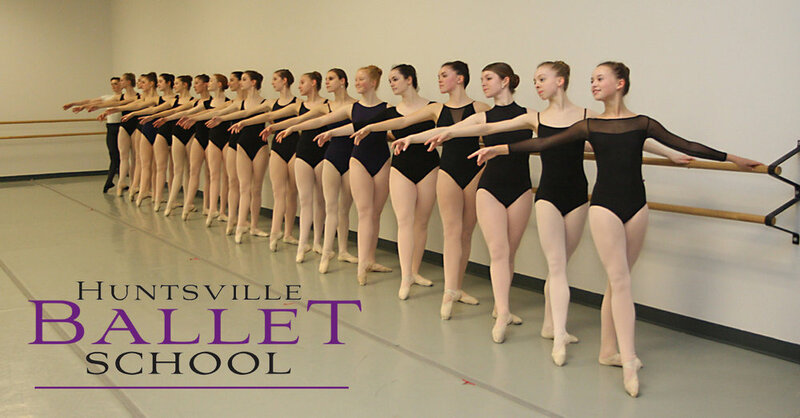 Huntsville Ballet School’s mission is to provide the highest caliber of dance training to all its students, from the recreational dancer to those who plan to pursue a professional career. Celebrating over 50 years of dance training in Huntsville, the Huntsville Ballet School offers open enrollment for classes including a variety of art forms and spanning generations with sessions ranging from Mommy and Me through Open Division lessons for adults. Students at the school have an opportunity to perform with the Huntsville Ballet Company and Huntsville Symphony Orchestra in The Nutcracker at the Von Braun Center concert hall. HBS is the official school of the Huntsville Ballet Company and provides the finest classical ballet training in Alabama. The school's curriculum is targeted to develop strong, flexible and versatile dancers that can adapt to a variety of dance forms. The faculty at HBS is committed to helping students reach their full potential. The syllabus that the HBS faculty follows is proven to train the highest caliber of professional dancers. Students from HBS have been accepted into prestigious programs and professional companies across the country. While all students do not choose to pursue a career in dance, the dedication, discipline and work translate into other aspects of their lives to make them successful. Huntsville Ballet Company's production of The Nutcracker is open to all students from Ballet 1 through adult by audition. This year's performance of The Nutcracker will be performed at the Von Braun Center and will be accompanied by the Huntsville Symphony Orchestra. Students chosen to perform in The Nutcracker must take a minimum of two ballet technique classes per week (no exceptions). Our faculty and staff are committed to the goal of providing the finest professional ballet training ground in the state to all students, regardless of age or race, or whether they plan to pursue a professional career or not. Part of the joy for us is learning what our students’ goals are and working to help them achieve their dreams. Our school’s curriculum is designed to develop strong, flexible and versatile dancers that can adapt to a variety of dance forms.